I was so honored to be invited to speak at the Arizona Ophthalmological Society last month -- a smart, dynamic, fun group of Ophthalmologists. I started out in Flagstaff which is at 8000 feet! The mountains are gorgeous, and the town is so sweet. Try Josephine's for dinner (yum) and grab an iced mint mocha at The Roastery! 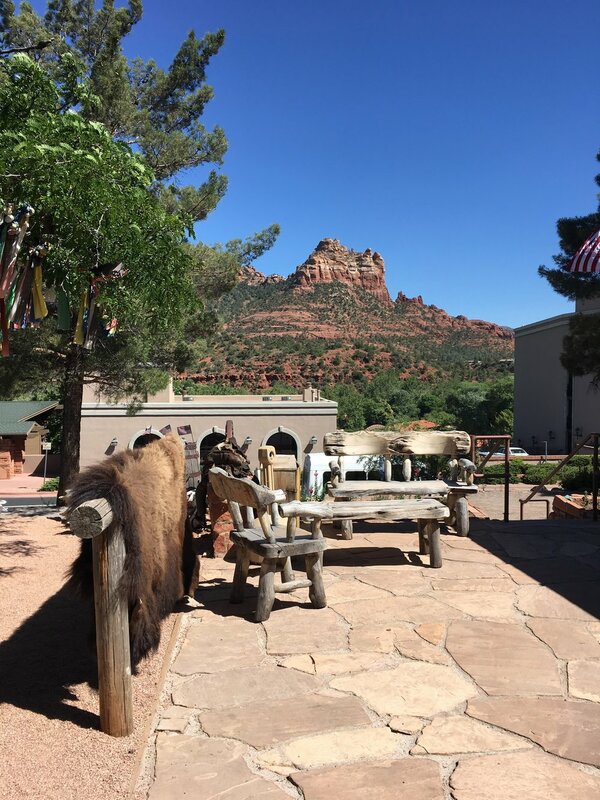 After the tumor lectures, I spent a day in Sedona (I had not been before!). Adding a day to work travel is something I hope to always prioritize -- we so rarely take real vacations so it allows for a little R&R around each trip and for me, helps keep me excited & motivated to keep traveling and speaking -- a little burn out prevention of sorts. Sedona is GORGEOUS! 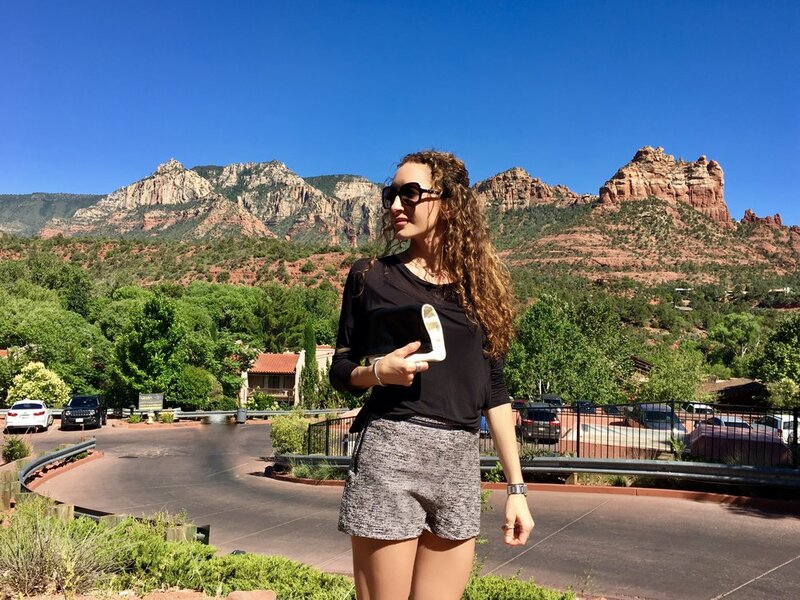 It is one of the most naturally stunning areas I have ever seen and I loved every minute poking through the cute shops, trying on the southwest jewelry, snacking on fish tacos and margaritas, and enjoying that gorgeous view. The Saltrock Southwest Kitchen at the Amara hotel was perfect for this -- and I loved their cute yellow chairs (Kimpton hotels are so great!). Drinks at the bar at the Mariposa are worth the wait -- and dinner too if you can find a reservation. For a hot, southwest Sedona day I chose Stella & Jamie Cecilia shorts which have the cutest leather details -- I like that these work casually with flats, or you could dress them up with heels. A super soft bella luxx top and my recent favorite Aquazzura scarlet elaphe point toed flats. Mine are from Net-a-porter and no longer available but links to similar here including a black pair on sale at The Outnet and 70% off pair with a similar feel (different color and pattern) from Net-a-porter that I am eyeing too. cutest little coffee shop in Flagstaff! This cute Stella & Jamie seersucker tank is available, but not online! Message me if you want one!